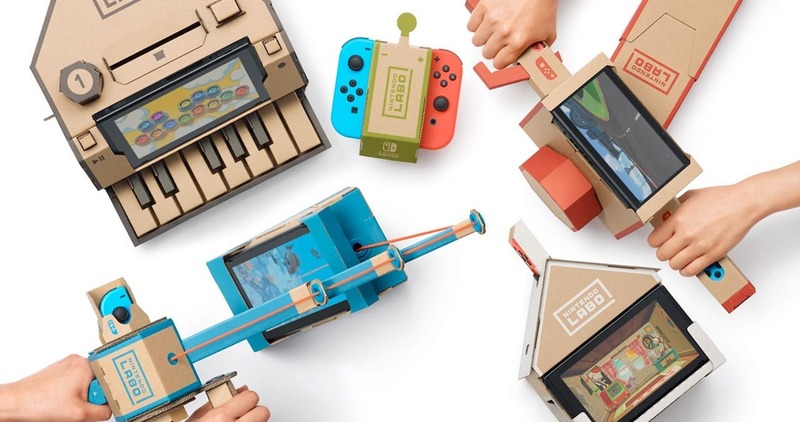 It’s hard to believe that it has been two months since Nintendo Labo launched, letting us build cardboard contraptions that can interact with Nintendo Switch. Nintendo has spoken about how the interactive build-and-play kits will become a “staple product” for the company, and have now acknowledged that their sales have met their expectations – reasoning that they expect them to “sell for extended periods of time” much like Dr. Kawashima’s Brain Training and Wii Fit. “So it’s absolutely met our expectations, and to put this in perspective, we see Nintendo Labo as a title and a platform that will sell for extended periods of time, much like we experienced with Brain Age on the DS or Wii Fit on the original Wii,” Nintendo of America president and chief operating officer Reggie Fils-Aime explained to Forbes. “And so for us, what we need to make sure we do is continue to drive engagement with parents and their kids. There’s a lot of activity happening this summer as parents are looking for experiences for their kids while they’re out of school.